What experience would you like to have? The hotel is perfect for winter lovers as the arctic-themed rooms are only available during the colder season. If you decide to stay here, you will be astonished by the intricate snow sculptures and snowy interior. But don't worry, you will stay warm as each suite is fitted with thermal bedspreads and super cozy sleeping bags. The hotel also invites guests to partake in husky rides, go skiing, Northern Lights hunting, or enjoy snowmobiling. In case you choose to go in summer, you will be staying at the quaint wooden cottage. You can include this hotel option in your tour to Norway. stovetop, coffee machine, comfortable spacious bed and free WiFi. Staying in the Kemi villas means you not only have the opportunity to watch the Aurora Borealis from the comfort of your bedroom but provided that you leave the villa you get a chance to participate in awesome outdoor activities like mini golf, cycling, hiking, canoeing, fishing or just enjoying a walk on the beach. So, do you say, time for a tour to Scandinavia? dimensions is an example of innovative interior solutions that make it feel roomy and cozy inside. Once in the room, you will see a lot of plywood and birch tree covered surfaces, and find a double bed, private bathroom, lounge and even a rooftop terrace. The six windows make the accommodation bright and offer magnificent views. The hotel is open all year round, so book your tour to Sweden and choose your tree house. In your room, you will find all the usual hotel features including flat-screen satellite TV, private bathroom, soundproofing system, coffee machine, free WiFi and large comfortable bed. 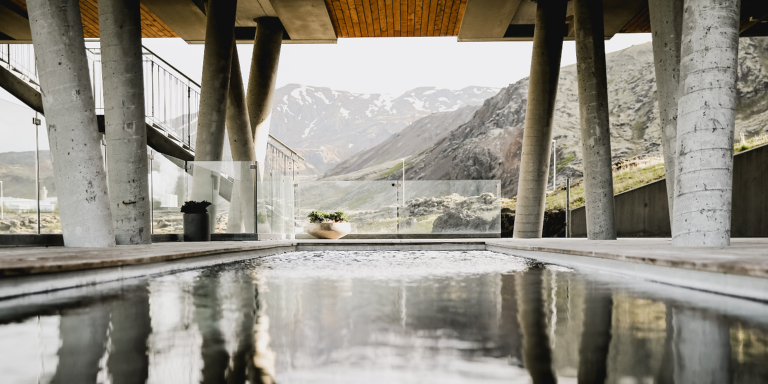 However, a visit to the Spa and wellness center on-site is a must as the pool offers breathtaking views and guarantees one-of-a-kind relaxation. You can also try Nordic specialties at the hotel's restaurant and spend time in the sun terrace. The hotel is located 45 minutes from the capital and is a great place to stay during your journey to Iceland.